The team found that the macrophage, a type of white blood cell whose name translates to "big eater" because it fights infection by engulfing foreign invaders, helps create a special environment, known as a stem-cell niche, that keeps stem cells in their premature state and able to duplicate and differentiate into mature cells when needed. To better understand how mammary stem cells regulate breast development—and how they might turn cancerous—the researchers studied how macrophages interact with mammary stem cells via molecular signaling mechanisms. 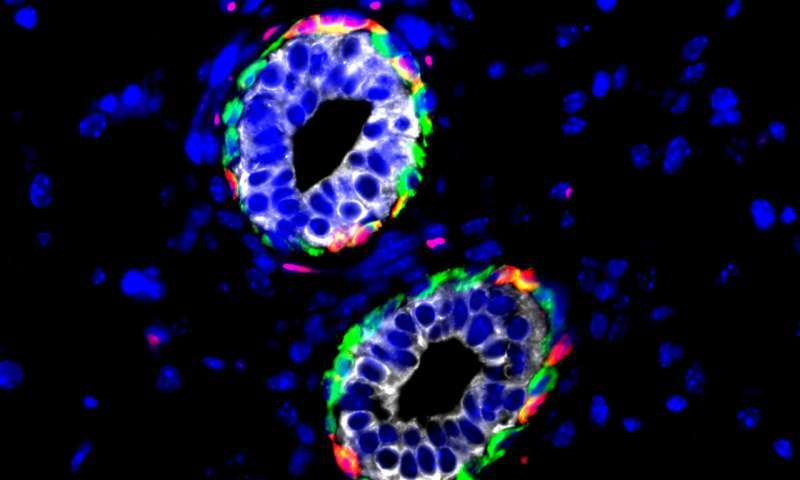 Researchers identify oestrogen receptor stem cells in the mammary gland.